Item: CVA 677-711.2 - City Museum, Art Gallery and Library, Vancouver, B.C. Item: CVA 677-711.5 - City Museum, Art Gallery and Library, Vancouver, B.C. 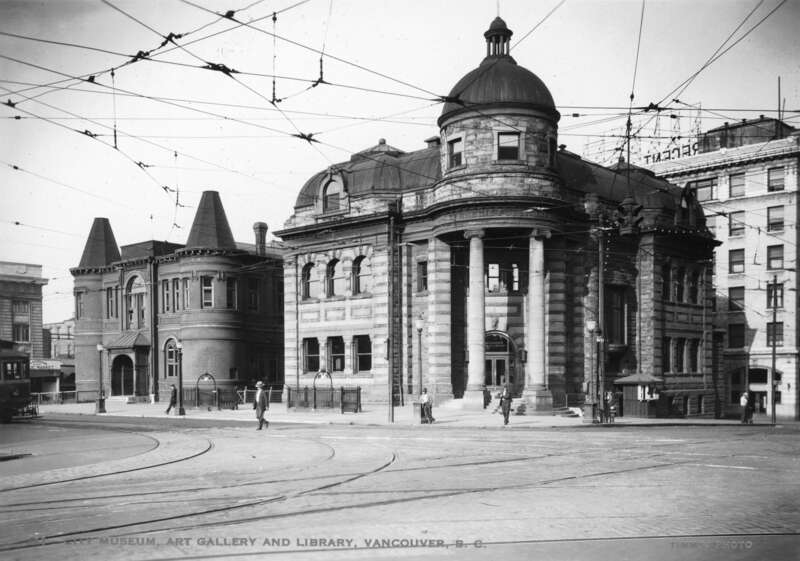 Item: CVA 677-711.6 - Entrance to City Museum and Art Gallery, Vancouver, B.C. Item : CVA 677-711.5 - City Museum, Art Gallery and Library, Vancouver, B.C. Photograph shows Carnegie Building (401 Main St. at Hastings).